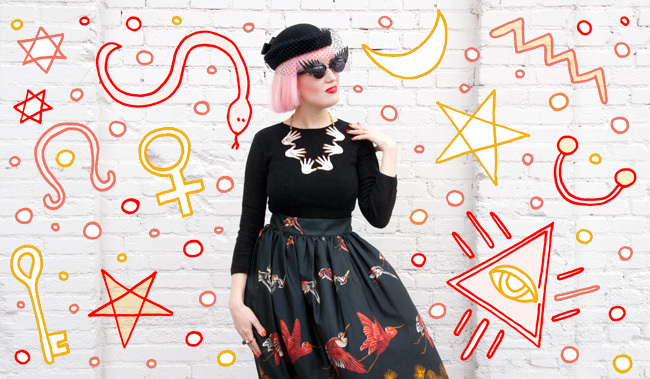 Black and mystical: An outfit fit for a cool witch in a movie. 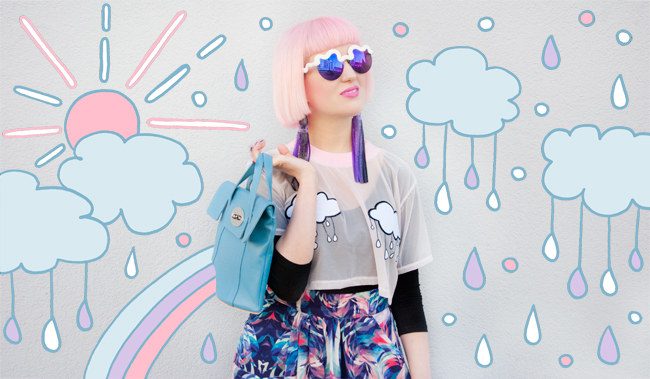 Drama Baby: Even with cute pastel pink hair, it's possible to look like a drama queen. Vintage Girl: Wearing a hat and a skirt from a time long ago. Seance Hands: Let me tell you about the mystic art of palm reading. Not just red as blood: Loving multicoloured nails recently. Behind the veil: There is a world you might discover. The red shoes: Wear them, and there is now way to stop dancing. 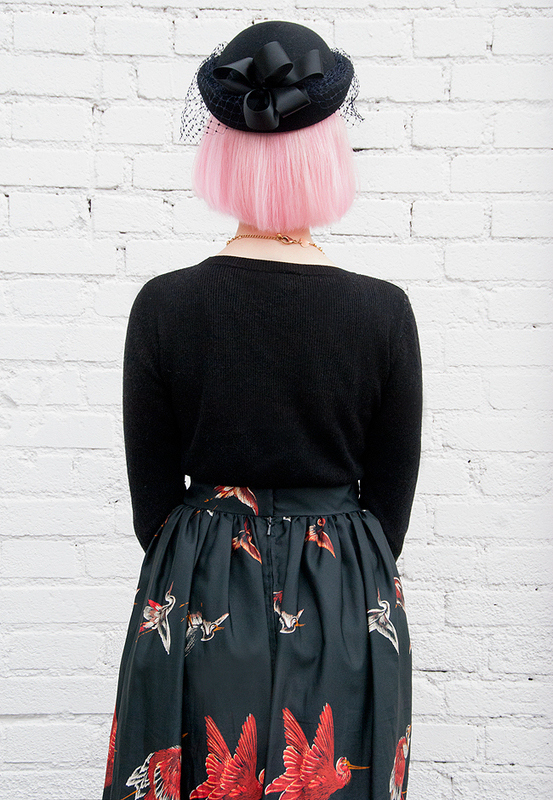 Paradise Birds: Oh wind, you love to play with my skirt. Pretty Bows: The hat is even better from behind. 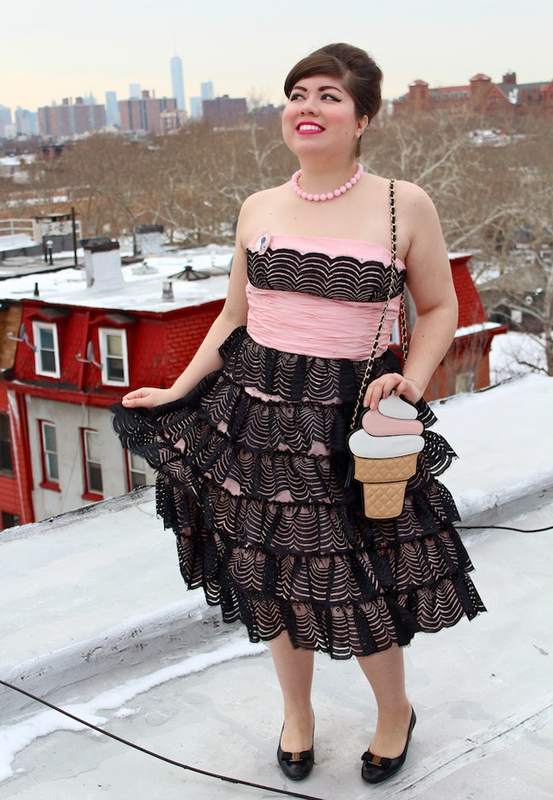 Time for a rather unusual outfit post. I just don't want to style a similar look for the thousandth time. Today I felt like styling a dramatic look, having pictures of New Orleans funerals, American Horror Story Coven, Victorian seances and folkloristic costumes in my head. I have had a lifelong fascination with stories about occultism and just love movies and series with witches, especially if they are beautiful and stylish. Recently, I'm watching Salem, and I'm totally in the mood for the mystical. I few years ago, vintage was my new wonderland. Since then I've become far more selective and don't go for anything vintage anymore. This skirt is one of the examples I really consider as outstanding. The bird print is just wow and wearing it makes me feel like a piece of art. A skirt like this means that there doesn't need to happen a lot in the rest of the outfit. It just deserves to be the star of the look. I think this style is a wonderful look for going outside with my darling. He doesn't mind me wearing all quirky and rainbow coloured things (and I adore him even more for this), but for a candlelight dinner at our favourite Indian restaurant, even I go for less sometimes. Tomorrow it's crazy circus again, I already know. Remember the scene when they burned the witch Myrtle Snow in American Horror Story Coven? Her last word was Balenciaga, what a commitment to style! I am not sure yet what label I would choose because I love so many, but certainly the style of witches rules! Do you also feel the need for a dramatic style and how do you like this look? A few days ago I told you about dinosaurs invading fashion, I think they came not alone: The robots are here as well. What an encounter! Take a little bit of retro, mix it up with science fiction, don't forget about a big dose of cuteness, and you get the most handsome mechanical tin men. They look at you with their round shiny eyes, and you don't want to leave the house without them anymore. The science fiction lovers among you will fall head over heels for these robots. While you still have to wait for the new Star Wars movie, those fellows could all be yours right now and make your looks robot-astic. What do you think: Do robots dream of electric sheep and which one is the cutest little fellow? Hello people out there, Sara is back, no matter the weather. 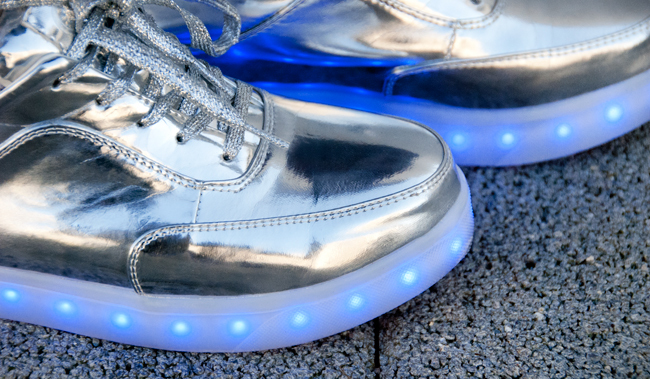 A new dimension of shoes: There is light baby! 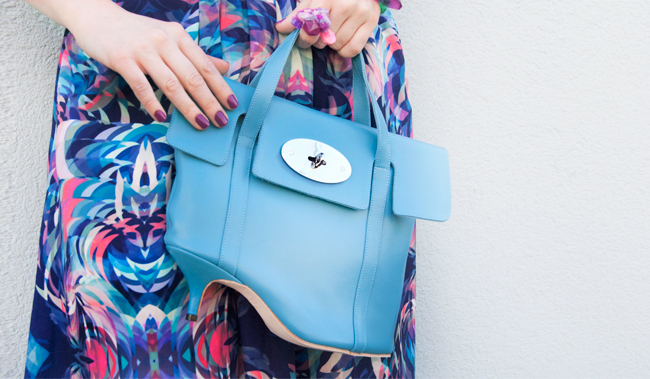 Love in baby blue: Will never part from my Azumi & David bag anymore. Midi is the new maxi: My favourite skirt length at the moment. Feeling perfect in a look I love from head to toe. It's raining: But just on my cool new shirt no need to get your umbrella. Alien lights: They don't just blink when you walk, but constantly shine like a neon sign. 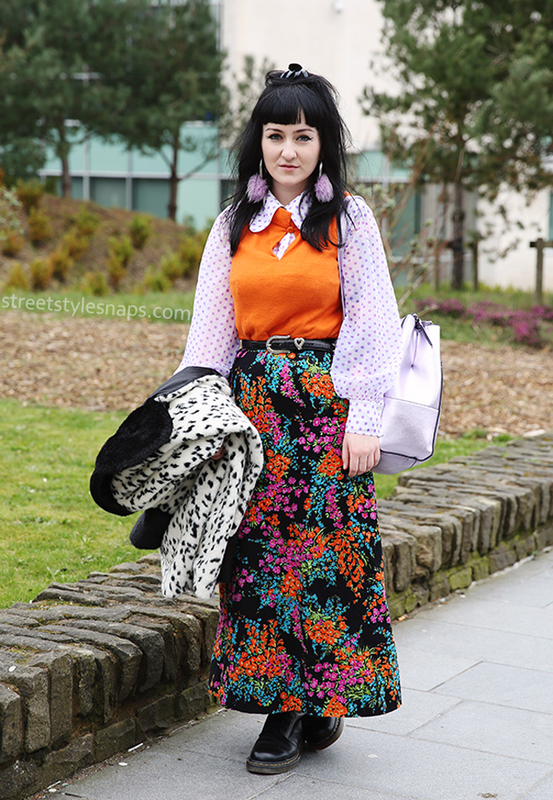 First outfit post after my London trip and I'm wearing a lot of things I bought there. Like every time, I felt so heartbroken after I had to leave my beloved city. I miss my godchild, my girls and all the inspiration and excitement that is in the air of London. The fact that I caught the flu just when we had to travel didn't brighten up my mood. I spent the first days in Switzerland in bed with a fever. What a welcome! I am happy I finally feel well enough to show you a few of my new finds finally. There was no way for me around the lightening shoes, not even hearing about their bad quality could stop me. I hope my lights will not go out… It's quite strange for me to not wear heels because as a rather short girl I love the little bit of extra height they give me. Well, at least there is one heel in today's outfit: On my bag! Isn't it cute? It's made by my designer friends Azumi & David. I love how they combine classic design with a touch of quirk. Besides it's always best to shop from lovely designers, and they are just one of the most adorable couples I know. 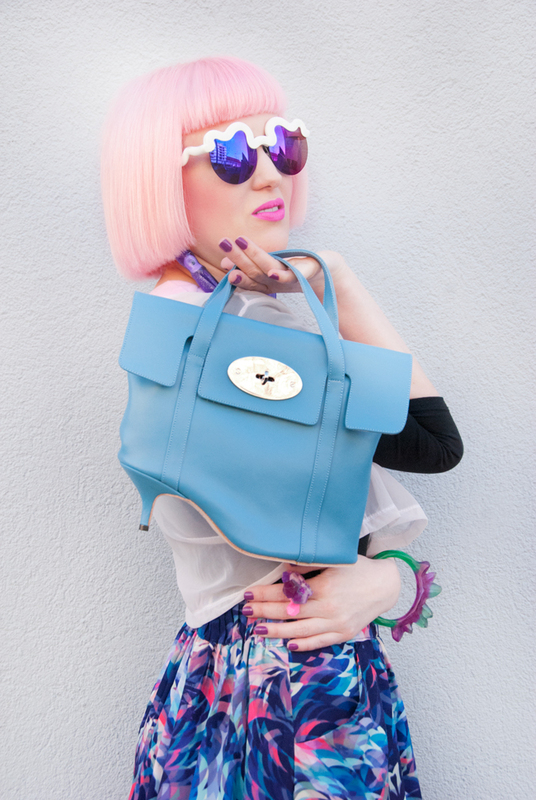 Let me tell you about the bold, handmade shoes and bags by Sara Melissa Designs (SMD). Sara's outstanding designs come with sass and lasting quality, made to make women feel classy and sassy at the same time. Wear them for going out, for weddings or just for a style boost of your daily looks. The philosophy of Yin and Yang is an important inspiration for Sara's work. The observation of how differences set us apart and bring us together in life and the celebration of diversity is closely connected to her designs. She plays visually with these concepts. Isn't it exciting to have a pair of shoes which obviously belong together but each shoe is individual? 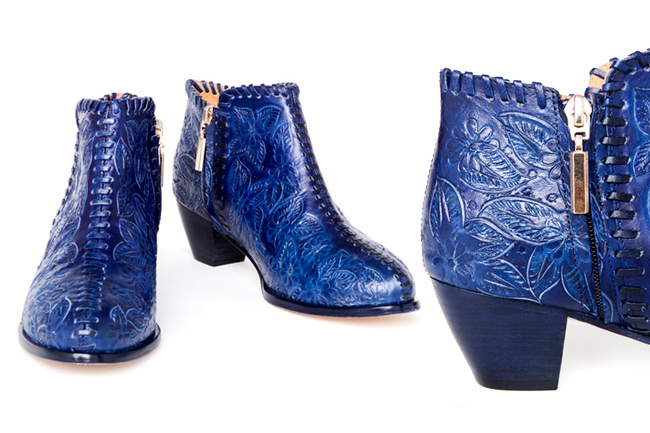 After studying at San Francisco Fashion Institute of Design & Merchandising and the University of Arts London, Sara released her first collection of shoes at the beginning of 2015. Originally from Nicaragua, the San Francisco-based designer wants her work to be more than fashion. This is why 5% of each purchase are donated to the non-profit organisation of LA F.E.M, an organisation Sara is personally connected to. LA F.E.M. focuses on the education and individual empowerment of rural woman and those who have suffered abuse. I met Sara last week in London and had the opportunity to see and try on the shoes in real. The attention to detail is amazing and if the designer hands over a pair of her creations, it's obvious with how much love and passion she designs. 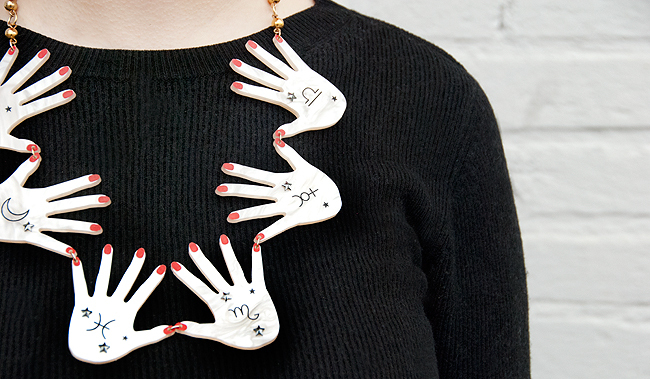 Made with love is not just a pretty slogan for her label, but the soul of her brand. Visit Sara Melissa Design's page here and give her a like on Facebook. Copyright of all pictures by Sara Melissa Designs. Who said that the dinosaurs are extinct? They obviously must have lied: I don't know if the dinos have been frozen in thick ice. Maybe they slept in hidden caves behind waterfalls, but now they return to fashion with a lot of reptile power. 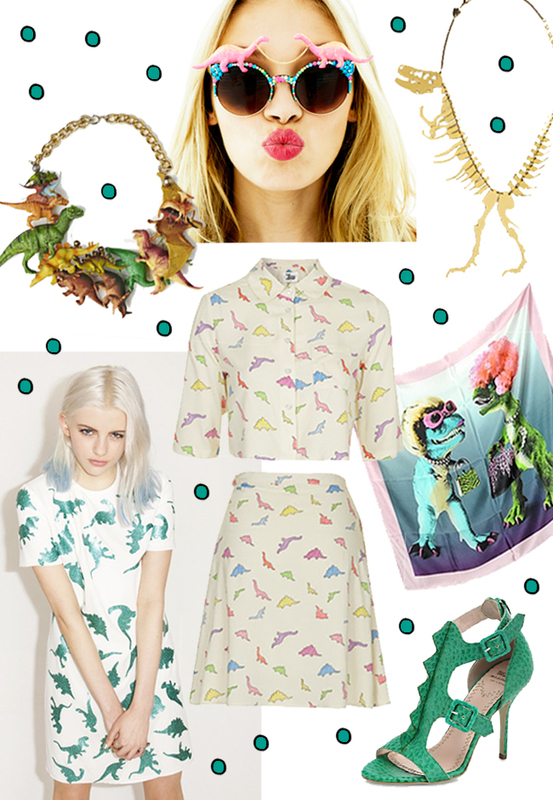 Maybe the mention of a new Jurassic Park movie this summer has already inspired the fashion designers. Everybody loves dinos. Did you learn dozens and dozens of dino names and felt like a true explorer talking about them the whole time as a child? I did, and therefore it's a sweet nostalgic feeling seeing this cool fashion featuring them. Let's wear them, and the wait for Jurassic Park is going to be over soon. No matter if T-Rex, Pteranodon or Stegosaurus: Dinos just rule! Easter is not over yet: Bunny Girl just started. 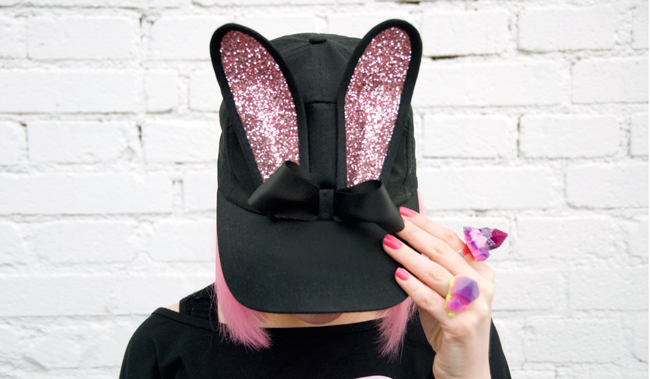 Glitter, glitter bunny ear: What is better than cute ears? -Cute, sparkling ears! Arm candy disco: This lightening bangle turns every day into disco. 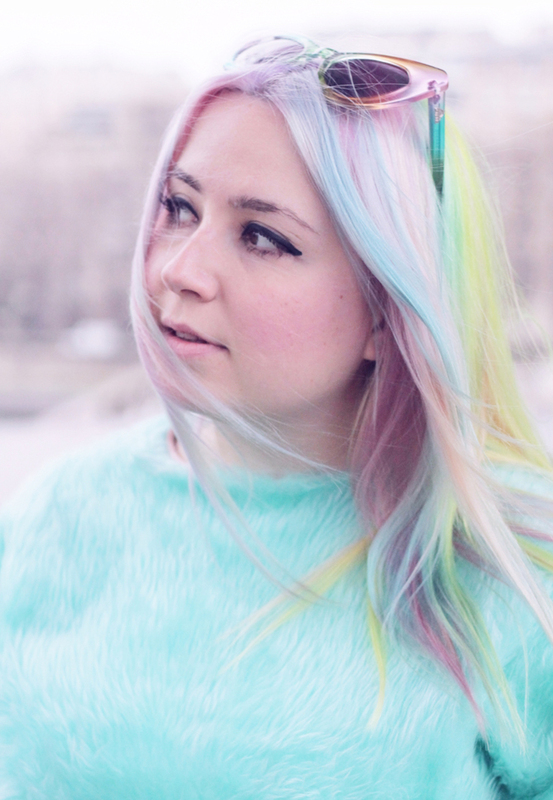 Nobody looks into my eyes… Why should they when I have glitter ears! 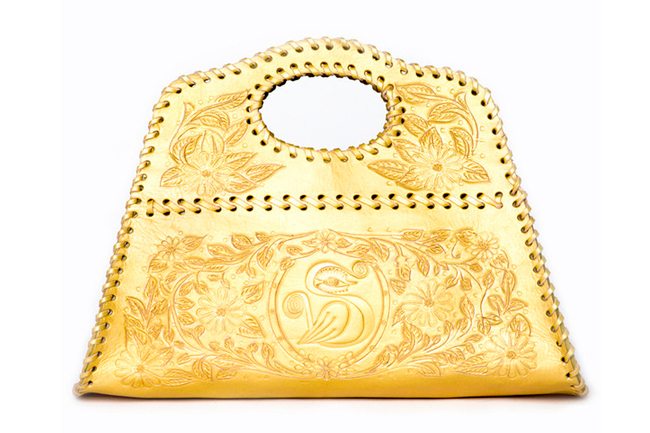 Beauty Queen with a lunch bag: A look from my wildest girly dreams. 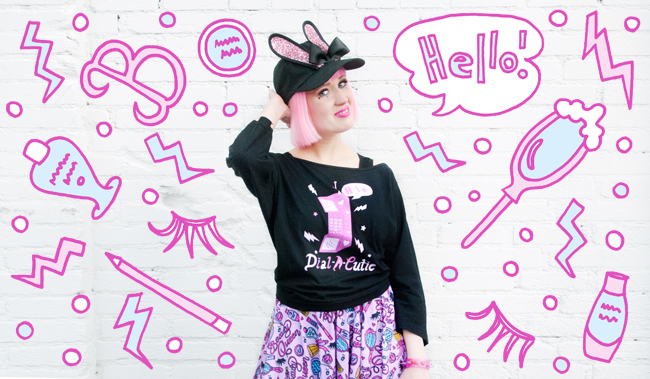 Dial-A-Cutie: Feeling very Barbie in this look. I like! 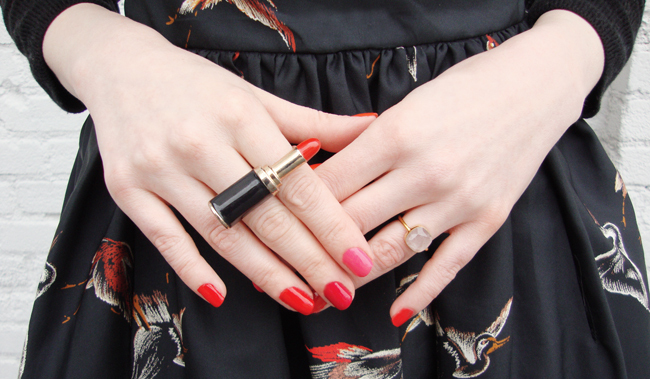 The big bling: Can't wear my favourite Serena Kuhl rings often enough. Pink plastic: Sorry Barbie, I've stolen your shoes, but I just couldn't resist. Bunny is leaving: Just continue your search for more chocolate. Hello lovelies, did you find all hidden Easter eggs and have chocolate for breakfast, lunch and dinner altogether? 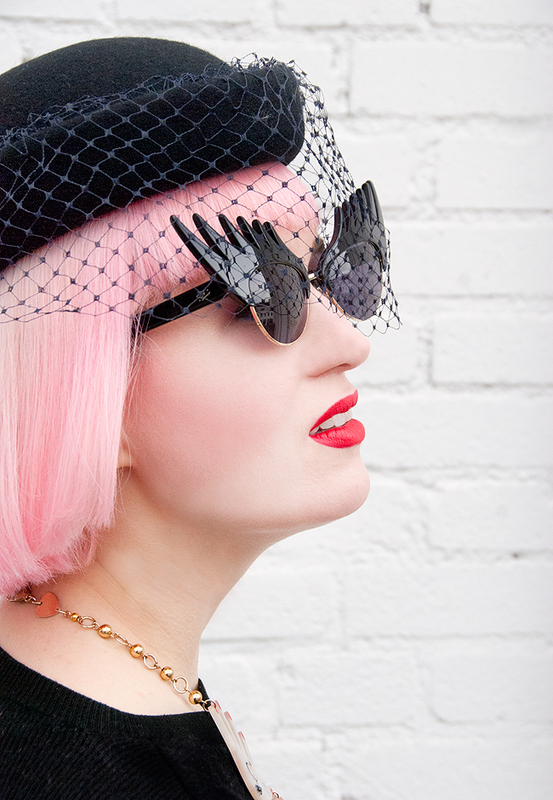 To continue a little bit longer with the bunny hype, I styled a look featuring my Bernstock Speirs bunny cap. I'll wear this bunny cap the whole year, but Easter is the most epic beginning of the age of bunny! Yay! I am excited to embrace spring finally. Hello blossoming magnolias, days without scarves, taking out balcony furniture and planting herbs on the kitchen sill. I know, I should have got rid of my black opaque tights for a true spring look. Next time, I promise! Too much focus on the legs would have distracted from the highlight on the head anyway: My shiny Bernstock and Speirs bunny cap. Since I passed their shop at Brick Lane for the first time I dreamed of having one of their hats, especially an iconic bunny cap. I love the mix of casual and quirky. The bunny cap can be paired up with a lot of different of styles, from rather sporty to elegant. 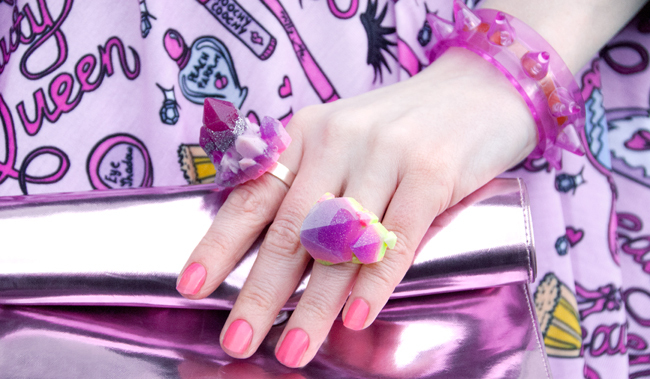 Today's look is all girly and kawaii. 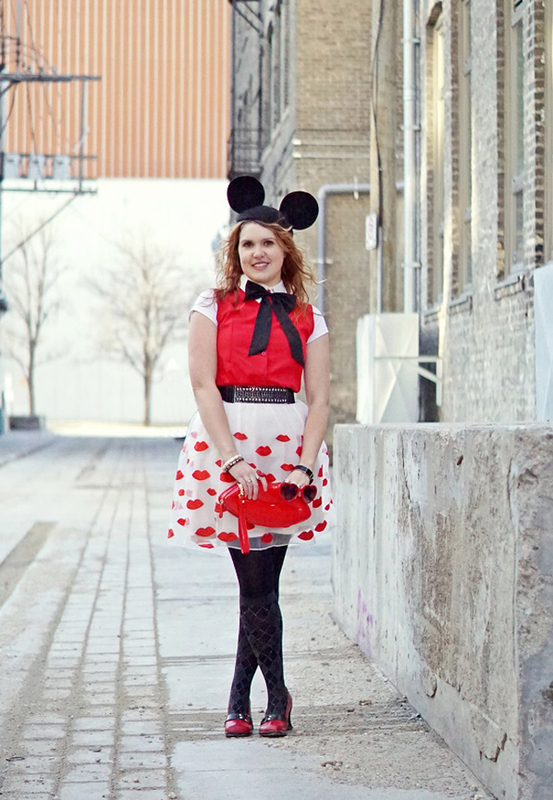 Isn't the print of my skater skirt darling? 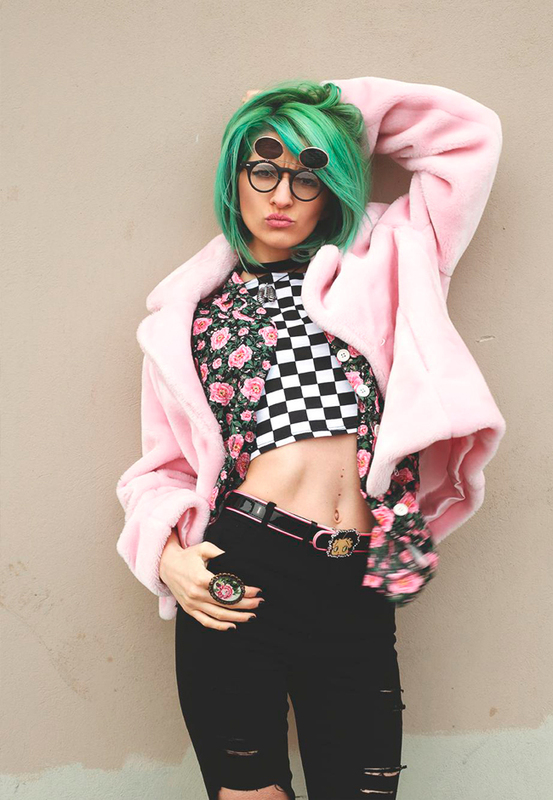 This piece by Melbourne-based label Tilly Me just blew my mind. The design reminds me of something that could have been part of a future Moschino collection. Well, bad luck Mr. Scott: Tilly Me was first! Please excuse me: I'm on bunny business… How do you like this look? I have a new mission: I thought a lot about the purpose of style blogs recently and I think it would be a great benefit for style bloggers and readers if we bloggers stop being only self-focused. 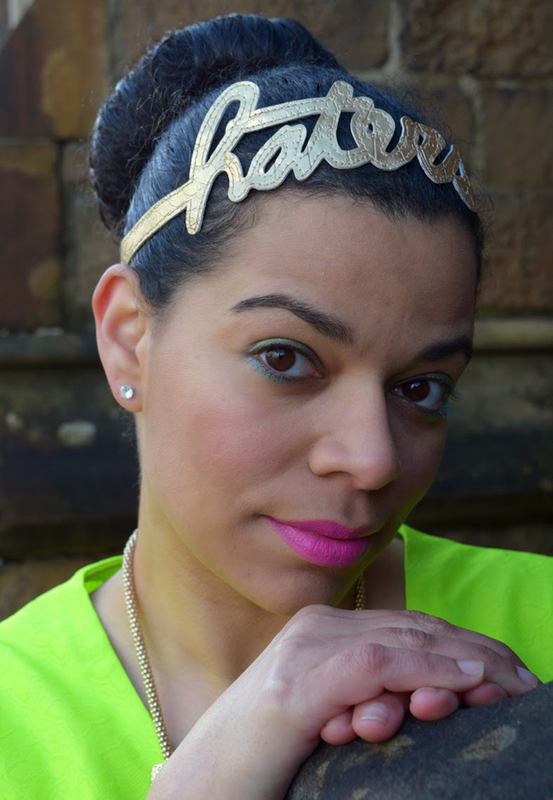 No matter on what style bloggers page you go, it's all about self-advertising. Isn't it time to leave the little lonely island and unite with like-minded fashion lovers? This was when I came up with the idea to make every month a post featuring all the amazing girls out there I follow. Their looks are so wonderful; I want you to see them and get inspired by them too. Please visit their pages and hopefully you find new favourites for your reading list. I want to say a big thank you to all the girls featured in this post for exciting me again and again with their outstanding sense of style. Have a happy day and don't forget to tell me which looks you like best.